Massage is therapeutic treatment that promotes many health benefits. This form of healing touch impacts on the mind, body and spirit and can induce a deep sense of calmness and relaxation, in adults and children alike. Each part of the foot corresponds with a pressure point that is aligned to a part of the body. By stimulating a particular area of the foot a therapist is able to induce a positive effect on the body. For instance, constipation can be relieved by applying gentle pressure and movement on the corresponding pressure point of the foot. By understanding how massage works an individual is better informed on how to get the most from the relaxation techniques, and will be able to use massage as a therapeutic treatment to complement other forms of healing practice. All children enjoy quiet time. Whether your child is a boisterous toddler or an active pre-teen there will still be moments when your child is open to relaxing and unwinding and this is when a foot massage is most beneficial. Young children, who experience difficulty sleeping, may also find that massage helps them relax more easily which results in them falling asleep. 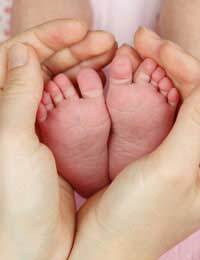 If this is the case establishing a regular night-time foot massage routine will help improve the quality of your child’s sleep and the amount of child-free time a parent experiences. Ensure the child is sitting or lying comfortably. Taking one foot at a time, gently flex the foot backwards and forwards as you support the foot at the heel. This movement releases tension. Gently massage the ball of the foot and then grasp the sides of the foot and push lightly together. On the underside of the foot apply gentle pressure to the area under each toe. Work your way along each toe in sequence, squeezing gently to provide stimulation. Apply gentle pressure to the tendon in the heel of the foot. The foot will feel more relaxed by now and your movements will feel more natural as you continue to support the foot as you squeeze and knead along the base of the foot. Repeat the process on the other foot. Due to the deep relaxation that a foot massage can induce this therapeutic technique provides a natural way of positively impacting on your child’s mood. Unless you have particularly ticklish or sensitive feet a foot massage is a pleasurable experience for everyone. This deeply relaxing treatment not only eases tension and stress but it can also help lift moods in a positive way. Aggressive feelings can therefore be calmed and regulated with the application of soothing foot massage techniques. Anxiety and stress can also be reduced, which means that concentration and listening skills are improved. Massaging your baby is a natural thing that most new mothers do without thinking. As a child grows up opportunities to lavish that amount of care and attention on the child’s wellbeing becomes difficult. If your child enjoys the therapeutic touch of massage encouraging this interest will enable a parent to continue using techniques to promote relaxation and stress relief. Whilst older children may not be as willing, or as patient, to experience the benefits of a soothing massage, offering a shoulder and neck massage whilst they are seated on the floor in front of you may be a welcome alternative. One day I came home and my wife said our younger son was having trouble concentrating on his homework. I asked him to come to me and while hugging him I massaged his back. Then I asked him to lay on the floor I massaged one foot for about 30 seconds, the other also the same amount of time. He went back to his work and did much better than he was earlier.